Let yourself be immersed in a "better-than-cinema" viewing experience. In your home. On your schedule. Click Here for more information. Access your music collection from any room in your home? Listen to a classical CD in the kitchen while others enjoy IPOD tunes on the deck? We make it easy. Click Here to learn more. Video Projection Systems, Recording Studios, Pro Audio, Video Surveillance and more... Connectivity Works brings 30+ years of experience to your project. Click Here for more information. Connectivity Works provides Security Systems with 24x7 monitoring and call-out to local law enforcement agencies. We tailor each system to meet our clients' expectations. We offer a variety of systems, from those that only monitor for intrusion alarms, to full security suites that enable web-based video surveillance/recording, and monitoring of low temperature, fire, and CO2 alarms. We provide structured wiring solutions, installed to national wiring codes. The key to accessing all of the latest and future technologies is in the wiring hidden behind the walls. Whether for new construction or remodeling, we can install every type of cable you'll need to be ready for the future. We provide residential and commercial lighting control systems, customized to our clients' needs. Whether for reducing wall clutter or power consumption, or automating lights while away, there are many benefits to low voltage lighting control. Although some systems can be very complex, every system we provide is guaranteed to be simple to operate. Connectivity Works is an authorized DIRECTV Retailer, providing local sales, installation and support, while offering all national promotions. Current plans start at $29.99 per month and include the Bangor local broadcast stations (ABC, NBC, etc.) which are now available in High Definition. 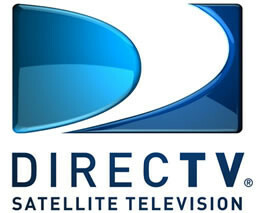 For more information about the latest DIRECTV packages and promotions, or for other questions, please contact us today! Welcome To Connectivity Works, LLC. We are in the business of simplifying technology. Our focus is residential and commercial audio/video systems and communication technologies. The truth is that we're not exactly sure why technology has to be so difficult, and we've set out with a goal of making it less complicated for people...connecting the dots, so-to-speak. But Connectivity Works is about much more than just connecting people with technology. We strive every day to be the kind of company where our word is our bond, where if we say we're going to do something, our clients can count on us doing just that. And we do it in a way that not only keeps our commitment, but that especially meets our clients' needs. Thank you for visiting, please look around, and if we can connect with you, please contact us. Connectivity Works is a proud member of CEDIA, an international trade association of companies that specialize in designing and installing electronic systems. The association has more than 3,000 member companies worldwide. CEDIA members are established and insured businesses with bona fide qualifications and experience in this specialized field. CEDIA members include residential electronics systems professionals who have emerged as the “fourth contractor” in the building and remodeling industries alongside electrical, plumbing and HVAC professionals. Providing Home Theater, Lighting Control, Whole-house Sound / Multi-room Sound, Security Systems, Pro Audio, Video Projection Systems, Structured Wiring, Computer Networking, Satellite TV / DIRECTV / DIRECT TV, Residential Technology and Commercial Technology in Downeast Maine; including Bangor, Ellsworth, Blue Hill, Bar Harbor, Mount Desert, Waterville, Augusta, Farmington, Orono, Old Town and surrounding areas.